Even though we still have to wait a bit for new Star Wars movies to come out, that doesn’t mean we won’t get any great Star Wars stories in the meantime. Case in point today is Matt Kindt’s Star Wars: Rebel Heist from Dark Horse comics. A young Rebel meets one of the Alliance’s best for his first mission. But the young man’s hero worship is crushed by the reality of Han Solo. A botched escape, a ship that doesn’t work—could it be that Solo is just a lucky bumbler whose luck has run out? Probably not. He seems pretty resourceful. Still, better read the new series just to make sure. Check out the preview after the break. 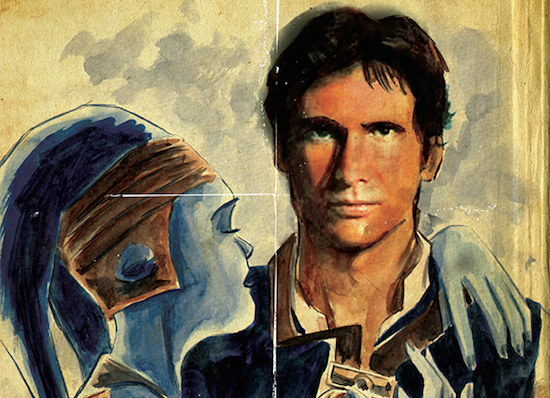 Look for Star Wars: Rebel Heist in comic shops on April 30. Continuing the trend of bringing licensed characters and other IP to the pages of comics, Dark Horse is this time going for something from the gaming world and adapting a title for comics. The title in question is The Witcher, the best-selling game from the gang at CD Projekt. In case you’re not familiar, The Witcher is an action role-playing hack and slash where you travel the world doing what you do best, hacking and slashing. Of course, we know it’s a bit more complicated than that. But still, based on the preview art for this comic, it pretty much follows along the same lines. And we don’t think that’s a bad thing at all. 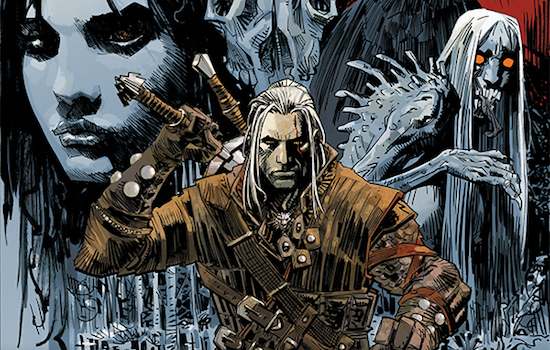 Look for The Witcher #1 to hit stores on March 19. Check out the preview pages after the break. When unusual or interesting items cross our desk, we feel compelled to bring them to you. 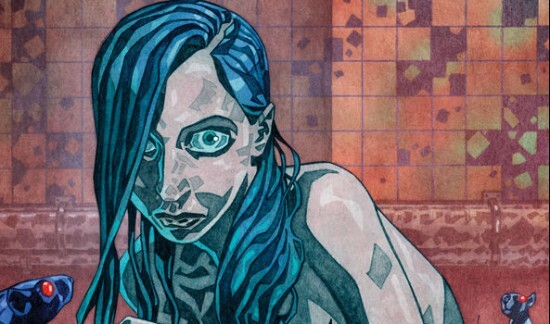 This time around it’s the upcoming comic from our friends at Dark Horse called Pariah. 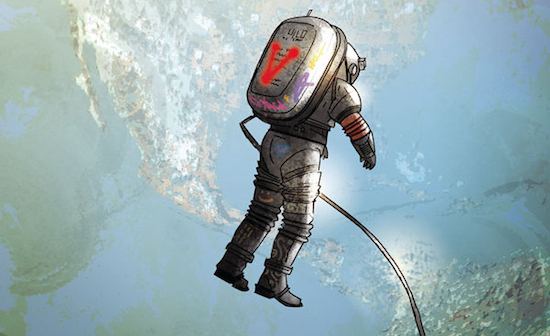 Trapped in space, the genetically engineered geniuses known as “vitros” must band together and create a plan to get back to Earth before their failing satellite turns into a deathtrap. Sounds cool, right? We think so to. That’s kinda why we’re here. 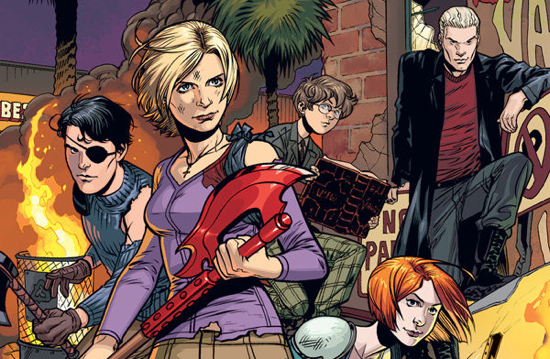 The comic was created by Academy Award–winning producer Aron Warner, written by Philip Gelatt and features art by Brett Weldele. We’ve got some preview pages for it after the break. Look for Pariah to arrive in stores on February 26. It seems the folks at Dark Horse are fond of taking iconic characters and putting them into comic books. While not exactly a new practice, the company seems to have chosen some pretty great ones of late. Recently, we brought you previews of new comics featuring The Terminator and Conan, now it’s Lara Croft’s turn as we’ve got a preview for the upcoming Tomb Raider #1. 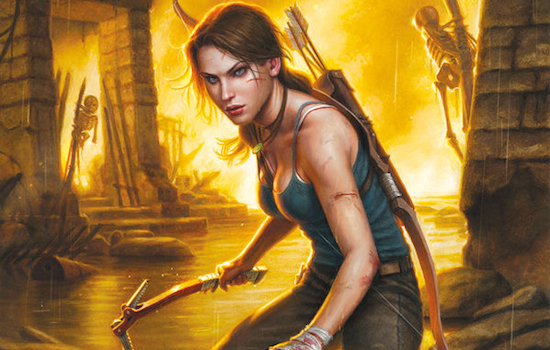 In this one “writer Gail Simone picks up Lara Croft’s story where the Tomb Raider game left off—in and promises to take Ms. Croft on adventures that will change her life forever.” Sound good. Let’s do this! Check out the preview after the break. Look for Tomb Raider #1 to arrive in stores on February 26. Like The Terminator, the character of Conan is also well-known on the big screen. Coincidentally, both characters were played by Arnold Schwarzenegger in movies. But, of course, you knew that. But this time around we’re not talking about movies. We’re talking about a comic book. 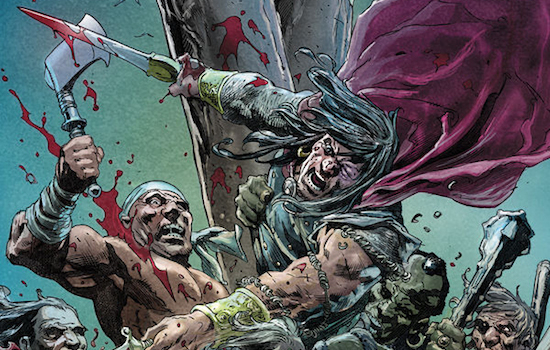 The comic in question is the upcoming Dark Horse release King Conan: The Conquerer. Sound good. We’re in. Check out some preview pages for the comic after the break. Look for King Conan: The Conqueror #1 on sale February 26. Do you love Star Wars? Of course you do. How about comics? Yep, us too. So when these two awesome things can be combined, it’s even better, right? 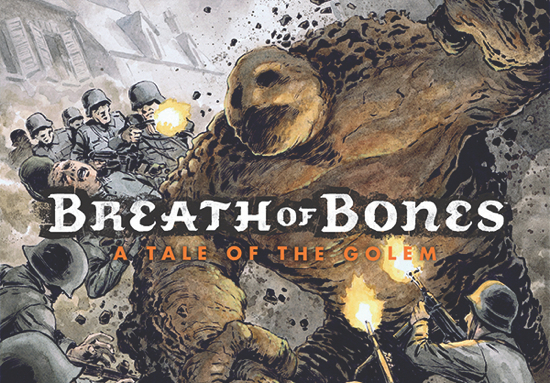 Well, you’re in luck because out friends at Dark Horse are stepping up to do something pretty great in celebration of tomorrow’s ‘May the 4th’ Star Wars celebration (and Free Comic Book Day. Bonus!). What is this pretty great thing you may wonder? Get blasted into a galaxy far, far away with two amazing May the 4th MegaBundles! 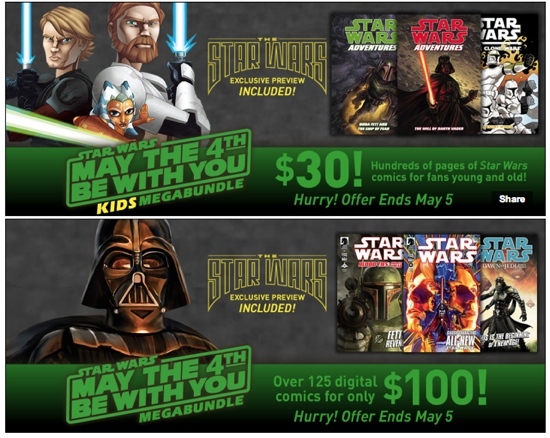 One MegaBundle is for devout comics readers, and the other is for the younger Star Wars fan in all of us! We try not to be cynical, but sometimes it isn’t easy. It’s sad, too, because we really like Jeff Bridges and we can usually tolerate Ryan Reynolds. And yes, Bridges looks pretty cool plus we do like the comic this is adapted from. But sorry, no. It just doesn’t do that much for us. At least not yet. Judge for yourself after the break. Look for R.I.P.D. to arrive on June 28th.